When the weather is nice, young children seem to be naturally drawn outdoors. It's not surprising - there's a whole world out there to be explored. But playing outside isn't just a treat for kids. It's actually good for their development in numerous ways. When kids play indoors, they have a certain number of toys, games and books with which to entertain themselves. Outside, the boundaries aren't as clear. There's space to run around and numerous flowers and leaves that can become props in play. Consequently, this freedom makes it much more likely that they will use their imaginations to create new games and activities, encouraging the development of creativity. As kids grow, their muscles are also developing. But unlike adults, kids shouldn't be hitting the gym. Exercise from play is typically enough to promote good muscle development, particularly outside where they have room to run and jungle gyms to climb. Playing outdoors offers a number of benefits for young children. Play doesn't offer only physical benefits. It can also enhance a child's ability to learn in the classroom. A study by the American Institutes for Research found that after temporarily attending an outdoor school, kids improved their science test scores by 27 percent. The research also saw improvements in cooperation and conflict resolution skills, areas that are important for success in the classroom. While they may not have a job or a mortgage to worry about, kids deal with stress too. One way to counter this problem is to spend time outdoors. According to researchers at the University of Illinois, the stress levels of children fall within minutes of seeing green spaces. Time spent outside at a park or in a grassy area outside the classroom can help your students relax during the school day. Cardiovascular exercise is important for people of all ages. While adults may get their heart pumping on a treadmill or stationary bicycle, children get the cardio they need in more casual activities, usually in the form of play. Your students can't move around much indoors, but when they take their play outdoors, there's plenty of room for movement. 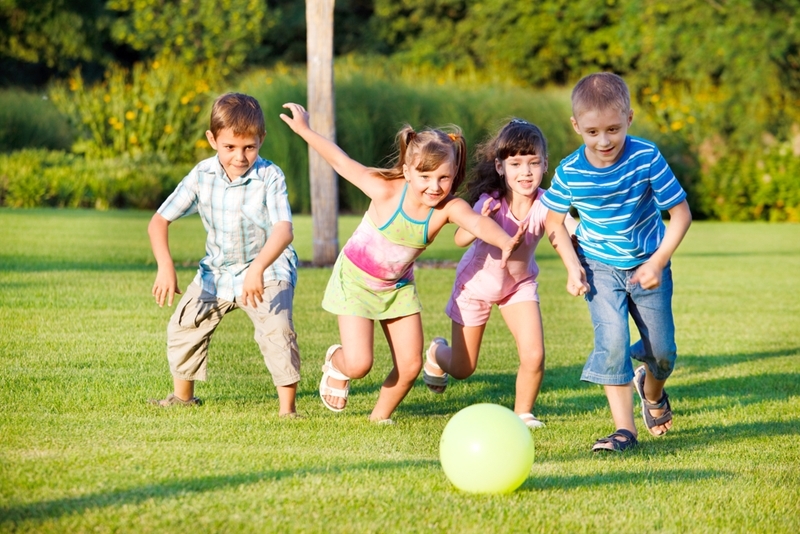 Whether it's running around in a game of tag or soccer, including outdoor play in your curriculum can increase your students' daily physical activity. To learn more about how to help your kids pursue healthy lifestyles in the classroom, consider enrolling in online training courses from ProSolutions Training.